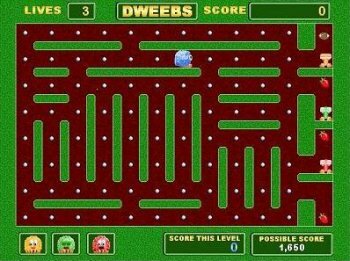 Dweebs Maze Mania is a maze game for the whole family with over 100 challenging levels to explore. If you liked Pacman, you`ll love this game even more. You guide the Dweeb through all the uniquely designed mazes, avoiding the evil Stompers. Comes with a high score table, lots of powerups, and special features.